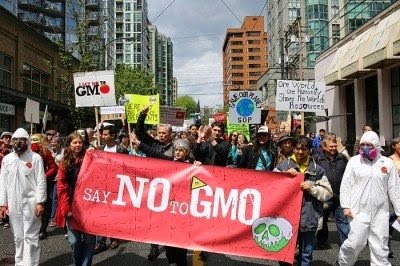 Monsanto, owned by the Jesuits, the world’s largest genetically modified (GM/GMO) seed producer, has been at the centre of controversy for decades as evidence of the harmful effects on humans of GM foods continues to mount. Joined with the likes of DuPont’s Pioneer Hi-Bred International and Syngenta, Monsanto and partners comprise the corporate nexus of Big-Agri, where the control over our food supply is increasingly transferred into the hands of private trans-national corporations as opposed to local farmers and governments. “Glyphosate enhances the damaging effects of other food borne chemical residues and environmental toxins. Negative impact on the body is insidious and manifests slowly over time as inflammation damages cellular systems throughout the body [...] Consequences are most of the diseases and conditions associated with a Western diet, which include gastrointestinal disorders, obesity, diabetes, heart disease, depression, autism, infertility, cancer and Alzheimer’s disease” (Samsel and Seneff, 2013). “Bt-toxin, glyphosate, and other components of GMOs, are linked to five conditions that may either initiate or exacerbate gluten-related disorders [...] If glyphosate activates retinoic acid, and retinoic acid activates gluten sensitivity, eating GMOs soaked with glyphosate may play a role in the onset of gluten-related disorders” (Smith, 2013).